Although New York real estate is notoriously overpriced, it’s still possible for the not-monied among us to own property here. The catch? The building will be quite small even by New York standards, in the middle of a giant dark room, and only accessible Wednesdays through Sundays. 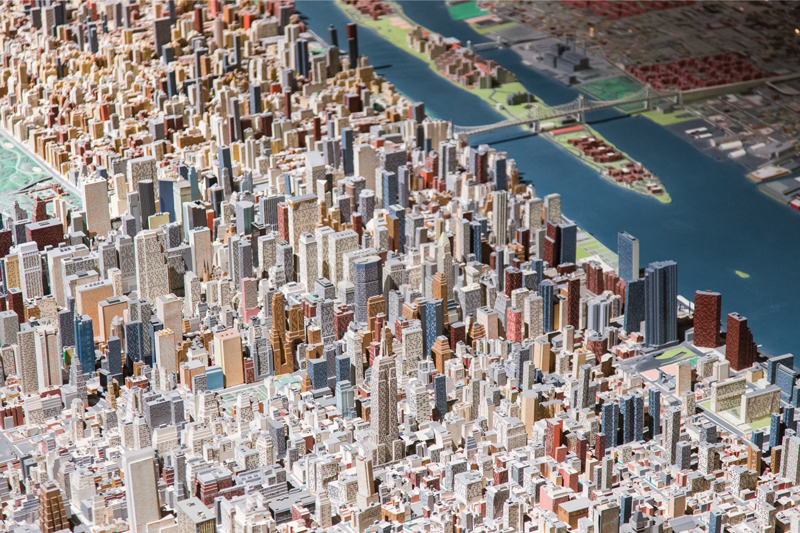 If those (minor) constraints aren’t off-putting, the structures in question are a sweet deal: For the low, low starting price of $100, New Yorkers can buy a building on the Panorama of the City of New York, the famous 3-D map of the five boroughs that lives at the Queens Museum. Established in 2009, the museum’s Adopt-a-Building program confers property buyers with a real deed to the building on the Panorama as well as the warm glow of supporting a longstanding city institution. The dinky walk-up your roommate almost burned down in a microwave disaster goes for around a Franklin, but marquee commercial buildings command around ten times that amount. In addition to collecting checks, the Queens Museum also wants to hear New Yorkers’ stories about the buildings they love and the lives led in them. While the institution is asking buyers to hark back to old times, the Panorama is no relic. The display, which was first unveiled at the 1964 World’s Fair, is periodically updated with major new buildings. Last year, the map sported unbuilt New York projects from all eras as part of Never Built New York, an exhibition curated by Greg Goldin and AN Contributing Editor Sam Lubell. More information on the Panorama and the Adopt-A-Building Program can be found here.